Are you ready for the Paris climate conference? Here's a list of people and groups that will probably chime in. Get ready for the Paris climate conference! As the world gears up for the major climate conference at the end of November, the stars are aligning (and maybe Jupiter and Saturn too!) 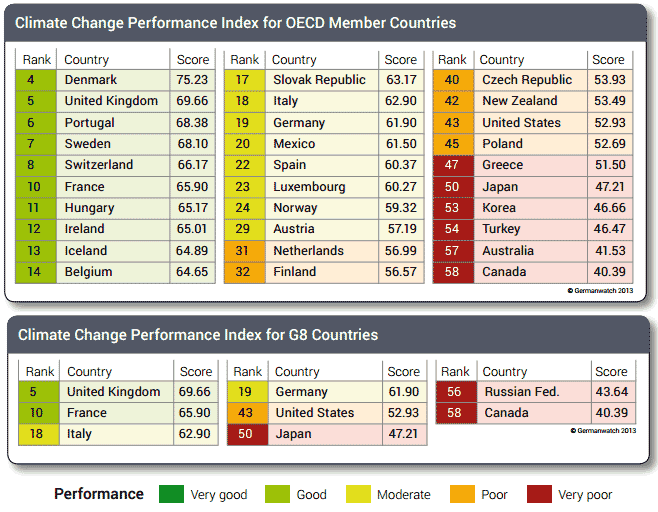 for significant international progress on climate change. So you can be sure every grumpy climate change dinosaur from here to Saskatoon is warming up their vocal cords to make zany, over-the-top statements denying, belittling or raising false doubts about climate science. A “great racket” is what Murphy calls “this global-warming/climate-change stuff.” He once raised doubts about climate science on the basis that he saw it snow in Vancouver one winter and actually used his soapbox on the CBC to declare climate science had been “debunked” (a conspiracy theory that has itself been debunked). 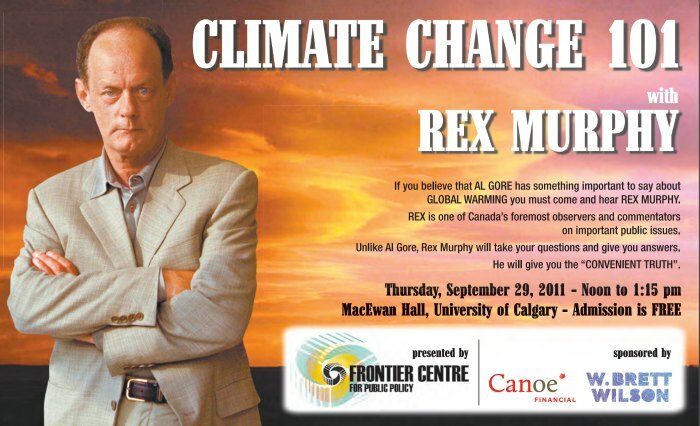 Something else you should know about Rex: in response to a story broken by PressProgress last year, Murphy admitted he’d been paid to speak at oil industry events, triggering an ethics review that resulted in CBC changing its disclosure policies. Highlights from his career in climate reporting include claiming a climate scientist trapped briefly by ice showed the “folly of global warming science” and also being named in a defamation lawsuit, costing the National Post $50,000. 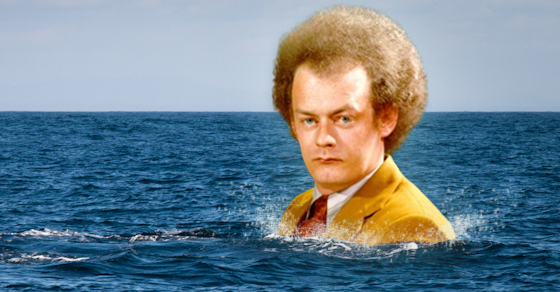 Former National Post editor Jonathan Kay referenced Corcoran’s writings as an example of the “paranoid” writings of climate deniers at his own newspaper (he referenced Rex Murphy too). Wente also sits on the board of Energy Probe. After a short stint as Mike Duffy’s speech writer, Levant created the group Ethical Oil, which triggered what’s been described as politically motivated audits of environmental charities by Canada Revenue Agency. More recently, Levant’s made some pretty far-out there comments, even by his own standards: he alleged Reform Party founder Preston Manning was using “Jedi mind tricks” and “linguistic trojan horses” to “bamboozle the oil patch” after Manning said carbon pricing was as good for both business and the environment. He also went after the Pope, accusing the head of the Roman Catholic Church of “Paganism” and alleging the pontiff is inspired by “mass-murdering Marxist” dictator Mao Zedong. Yet if Wildrose now accepts the science since Smith left the flock, they’ve done little to show they’re serious about it. 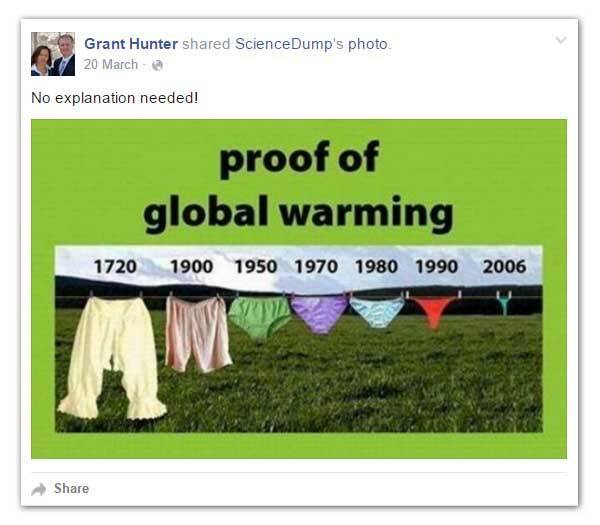 Plus, there’s climate belittlers like Wildrose MLA Grant Hunter, who suggested the evolution of women’s underpants over the last 300 years is “proof of global warming.” Sounds like he takes the issue seriously. Why’s that? Skipping important international climate meetings? Not keeping his own commitments on regulating oil and gas? Failing to meet his own emissions targets? Withdrawing Canada from the Kyoto Protocol? It’s all so strange – isn’t hockey Harper’s favourite sport? Even the NHL says climate change threatens the great game. Conservative MPs aren’t much better. Recently, it was confirmed the Institute received funding for years from organizations connected to the American Koch Brothers. The right-wing anti-tax group fought to kill BC’s carbon tax and argued carbon taxes do nothing to reduce CO2 emissions (others disagree). The Prairie-based right-wing think-tank boasts a stable of deep thinkers with strong views on climate change. Just recently they welcomed climate denial evangelist Ross McKitrick as their “Chair of Energy, Ecology and Prosperity.” Research fellow Paul Driessen said “manmade global warming” is “junk science,” fellow Patrick Moore has claimed the melting of glaciers is positive because it creates more arable land, fellow Elizabeth Nickson authored a book called Eco-Fascists that was described as “somewhat paranoid” by the Winnipeg Free Press. 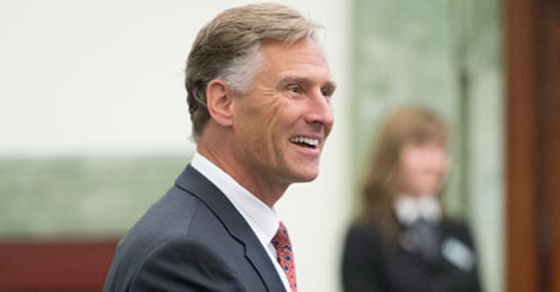 Progressive Conservative MLA Dave Rodney has some questions about making Alberta universities more diverse. Progressive Conservative MLA Dave Rodney has some questions about making the “demographic composition of Alberta universities” more diverse. During an advanced education committee hearing Thursday, Rodney wondered if this meant the government is bringing in ethnic “quotas”?